How many Peeps can you eat at one time? My daughter’s favorite birthday party game was “Big Fat Bunny.” Participants would stuff their mouths with Peeps and try to say “big fat bunny.” This was hilarious, of course, and it generated at least an hour of fun for the 8- to 10-year-old party-goers. Peeps are famous in America as a unique marshmallow treat—made in the shapes of chicks, bunnies, and other familiar holiday figures. They’re made by a third-generation, family-owned business, Just Born Quality Confections, in Bethlehem, Pennsylvania. The company is advancing Peeps production later this year by leveraging new “soft robotics” techniques. The “soft robot” grippers are expected to help speed production of the 2 billion+ Peeps made each year without damaging the delicate treats. To make the most of these new robots for food manufacturing requires leveraging artificial intelligence (AI). AI can help robotics provide value beyond just time and labor savings by also enabling them to simulate learning and self-correction. It can address some of the core business needs around quality management. For example, if soft robots with the right sensors could collect metrics on firmness and color of raw materials, it might be able to determine new variables that are key for product quality, providing us new metrics that were impossible to rapidly measure in the past. AI also can potentially support the food manufacturing industry more broadly—from formulations to scheduling. Formulations: It’s not uncommon to have more than one recipe for the same product based on ingredient availability. AI could pull together both availability and lab data, and modify formulas on the fly to always produce the same finished product. Scheduling: For really short shelf-life products (e.g., prepackaged refrigerated meals, milk, bread), products are often ordered the day you want them. Or in some cases, these products are distributed via DSD (direct store delivery), and orders change on the fly. AI could take all this data on orders from all the trucks as well as at the plant in real time and detect changes in typical order patterns. This would enable a manufacturer to change production based on real-time demand versus manually reviewing orders as they came in and comparing to expected patterns. These are just a few examples of the potential. Like advances brought about with AI and soft robotics to handle delicate raw materials from fruits to Peeps, there are still challenges to work out in the areas of quality and food safety—like cross-contamination. This is the direction and challenges we see in the food industry, and we are already engaged with our customers to provide optimal solutions for this transformative AI technology. 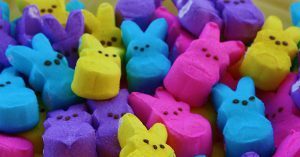 All fine and good, but at the end of the day, my parting thought: More and better Peeps? How could that be a bad thing? 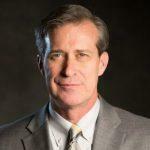 Mike Edgett is responsible for Infor’s positioning in the food & beverage, chemicals, and life sciences markets.